The other day I made skillet enchiladas but ended up having way too much leftover. I always seem to overestimate my recipes and often have leftovers. I don't know about you but my family gets bored easily eating the same meal two nights in a row. I could freeze them to use at a later date but not all leftovers taste that great after defrosted. I just hate to waste food. I remembered one time I bought stuffed bell peppers from Costco and how much we loved them. 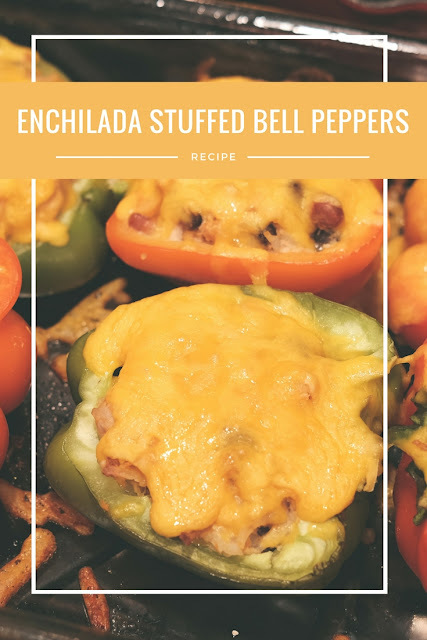 I thought to myself enchilada stuffed bell peppers sounds like a good idea. The best part is because I made these I know they are gluten free and they are a healthy meal. 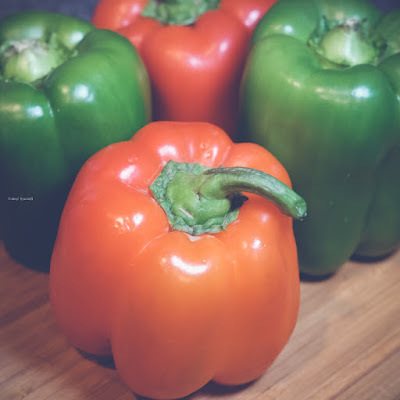 The first thing you need to do is rinse your bell peppers really well to remove any dirt. Also preheat your oven to 380. Next you'll want to level out the stem by cutting it flat but leave the rest intact. 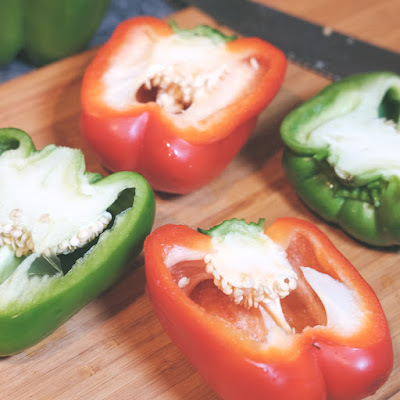 Then flip over the bell pepper and cut them vertical straight through the stem. Now you should have two equal boats. 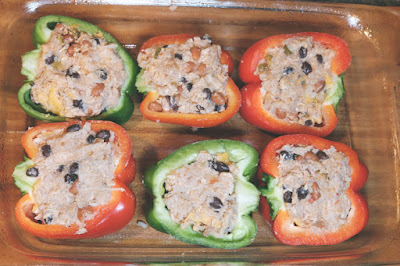 Continue the process on however many Bell Peppers you think you might need. Next carefully with a knife cut out the seeds and the white parts and discard them. Proceed to washing the the bell peppers out to remove all seeds. You can dry with a paper towel or just shake them out. Now scoop out your skillet enchilada filling and pack it down into each bell pepper. Place into baking dish filling side up and cover entire pan with foil. Bake at 380 for 45 minutes. 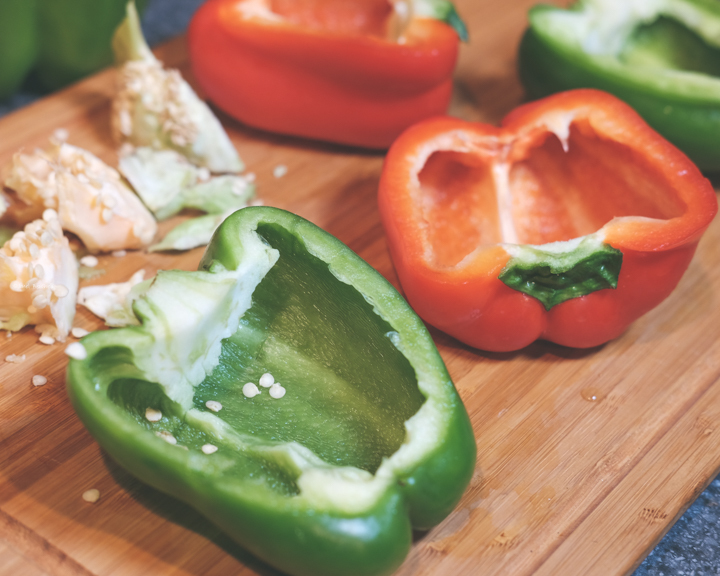 Cooking time will vary depending on how much filling is in each bell pepper. 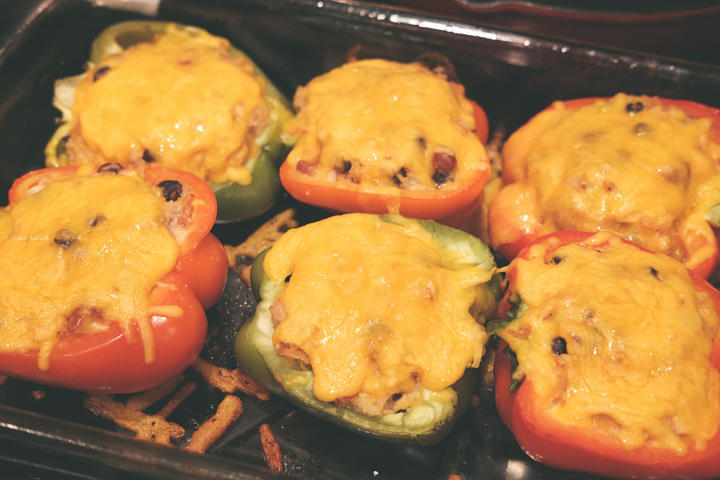 Lastly after 45 minutes take off foil and put cheese of your choice the top of each bell pepper. Bake for an additional 5 minutes or until cheese is melted. Take out of oven and let sit for 5 minutes then serve. Now it is time to enjoy! 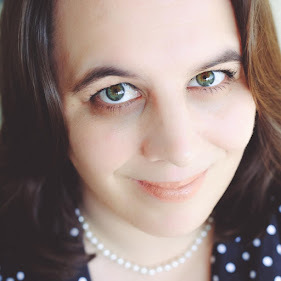 I hope this recipe gave you another idea to repurpose your leftovers. Leftovers can get boring, by trying new things your family might be open to eating it a second night and less food is wasted.